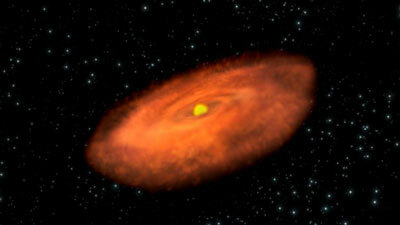 (Nanowerk News) A star thought to have passed the age at which it can form planets may in fact be creating new worlds. The disk of material surrounding the surprising star called TW Hydrae may be massive enough to make even more planets than we have in our own solar system. "Before, we had to use a proxy to guess the gas quantity in the planet-forming disks," said Paul Goldsmith, the NASA project scientist for Herschel at NASA's Jet Propulsion Laboratory (JPL) in Pasadena, Calif. "This is another example of Herschel's versatility and sensitivity yielding important new results about star and planet formation."